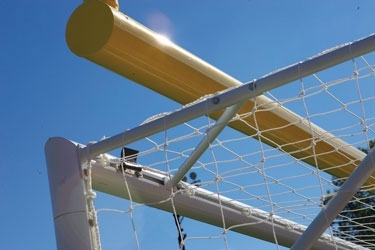 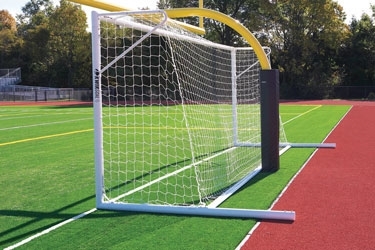 Our KwikGoal Fusion 120 Soccer Goal 8' X 24' is an all-aluminum construction with 4" O.D. Designed specifically for the combo football/soccer field. 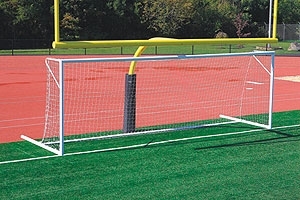 Base bar sits at 5 feet, allowing the goal to fit in front of most industry standard football goals.